Nissanhas teamed up with world-famous architects, Foster + Partners to show off its vision for the Fuel Station of the Future – and it's incredibly exciting. Banish those thoughts of fuel stations being filled with ugly pumps, smelling of fuel and cheap pasties – according to Nissan it can be our cars themselves that are the future of fuel. 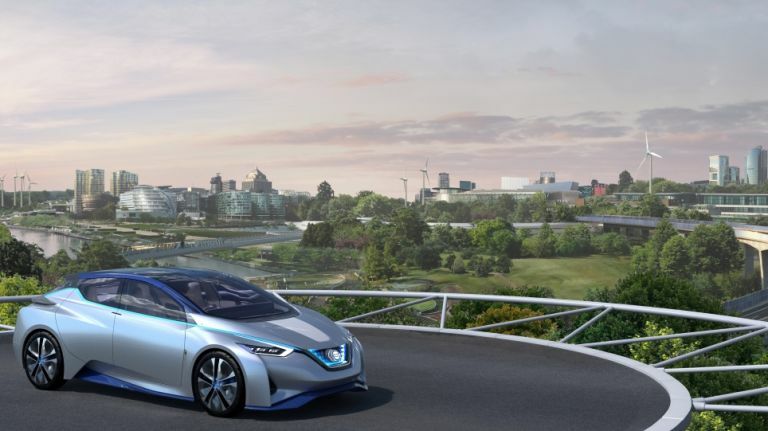 Nissan's vision of Intelligent Mobility aims to shift the balance to renewable energy through a combination of zero emission and intelligent Piloted Drive technologies. The video Nissan has released offers us a glimpse of this potential future, where we're shown cars that can wirelessly charge themselves. Once charged, your car can let you know it's ready to go by contacting you through smart wearable tech, and your car will have the capability to re-park itself autonomously once charged, allowing other drivers to use the parking space to charge their car, all whilst you sleep. But what makes Nissan cars fuel stations themselves? One of the coolest innovations highlighted in the video is that zero emission vehicles can not only store power in their battery to power your home but can also give power back to the grid so no renewable energy goes to waste. Nissan's crystal ball also revealed a possible future where thanks to zero emissions you'd be able to drive your car right into your workplace where an automated parking system would whisk your car away to be re-charged or help to power your office. The idea of a car that is so clean you can safely run it indoors is an exciting prospect, not only for the office but our towns and cities too. Nissan paints the picture of a connected city where renewable energy is so common it could be freely shared with everyone. Where old fashioned car parks and fuel stations could be replaced with parks and forests, helping secure the future of our planet for our children, while unlocking the true potential of our cities. This is truly a vision that we all want to be a part of. Joining all the dots might be a way off, but Nissan is dreaming big – and we're starting to see technology now that can help us achieve this, with our cars, homes and cities being the true Fuel Stations of the Future.